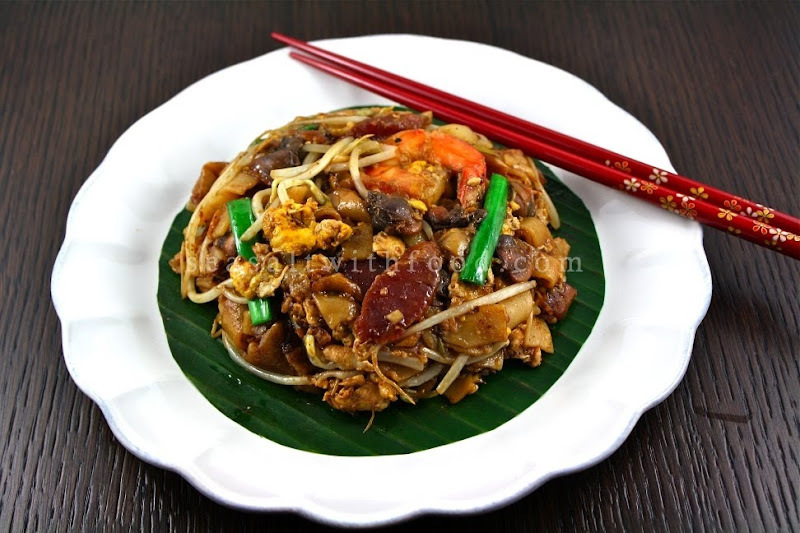 Char Kway Teow or Fried Flat Rice Noodle is another famous Malaysian hawker or street food. Similar to most Asian dishes, the secret to making a perfect plate of this noodle is to have all the ingredients at room temperature and fried quickly over some really big flames. Since most of us do not a high BTU stove top at home, just fry the noodles one serving at a time. That works too. Anyway, one of the must have ingredient for this dish is the Cockles, or also known as Blood Clams in most places. So, I came across some when I visited my Asian grocer here recently and had to have a go at frying this simple and yet additive dish. 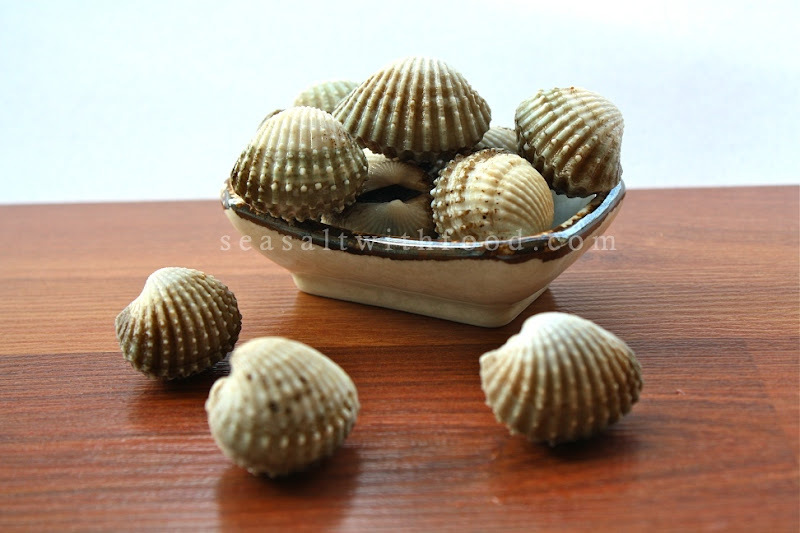 If you do not like cockles, you can always substitute with some prawns or slices of fish cakes. Note: Cook in two batches. If using frozen Blood clams, defrost and wash. Pour in some boiling water onto the clams for about 40 seconds and drain. Then shell the clams and set aside. Heat a large wok over high heat. Add 1 ½ Tbsp of oil and toss in the preserved radish and garlic. 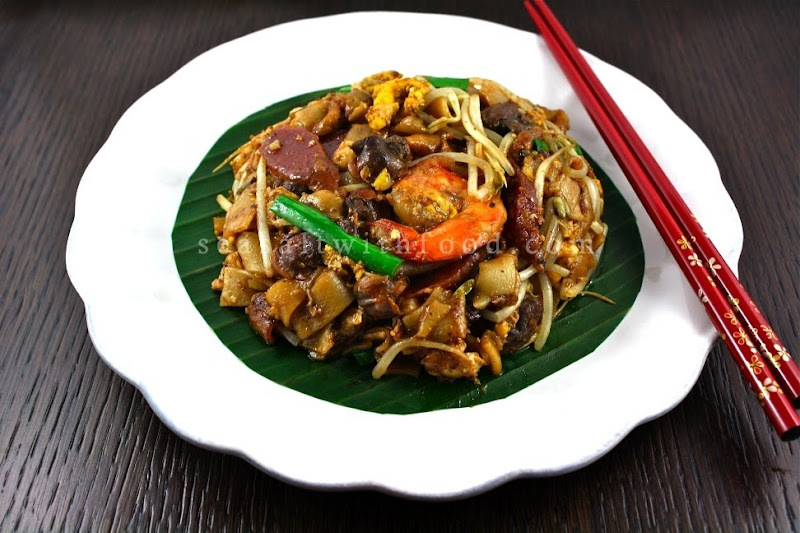 Give it a quick stir and mix in prawns and Chinese sausage. Stir and mix in the noodles. Then add in 2 Tbsp sauce, chili paste and give it another quick stir. Push the noodles aside and add in another ½ Tbsp of the oil. Crack the eggs and let it cook until they are almost set and push the noodles back. Then toss in the bean sprouts and adjust the seasoning with extra sauce if necessary. Stir until well combine and add in the clams, chives and a few dashes of white pepper and cook until well combine. Serve immediately. I love Malaysian Food. We usually order this at the restaurant. The Chinese sausage gives it a distinct flavor. So, I guess it's time for me to make this at home. So glad I found you on Tastespotting- what a great blog and some very unique recipes! Looks yummy and I really, really drooling now. It doesn't help if it's now lunch time too!